What Difference Do Homemaking Routines Make? Imagine what your daily life could look like managing your home with homemaking routines (and loving it!) as opposed to the chaos of life without homemaking routines. 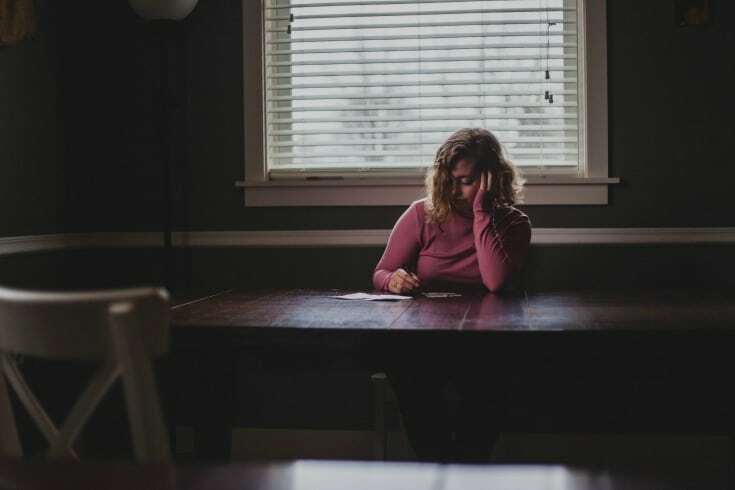 After years of a strait-laced life of organization, I thought spontaneity could be the special sauce that would liven up my fatigue that came with homemaking. If I just did what I felt like doing, I’d be inspired to scrub the toilets. Or clean out the fridge. Or … if I had plenty of energy and inspiration, maybe I could get to both the toilets and the fridge. Why shackle myself by planning everything out, day by day? Who wouldn’t want a laid-back wife and mom? What could possibly be wrong about flying by the seat of my pants? Living in my routine-free home, I didn’t have to do the same thing every day. (So I didn’t.) I had freedom to do what I wanted when I felt like it. I followed every whim. But I never felt the inspiration to get chores done, and all that spontaneity left me feeling like I was drowning in my responsibilities. Drowning in my home. Every day I’d wake up late … and exhausted. I tried to fit everything in to my day … but when I couldn’t do it all, my chest would tighten just a little bit more. When I looked around my home, I saw exactly what I felt inside … like everything had spiraled out of control into a huge mess. Chaos reigned supreme, and it wasn’t just taking a toll on me. My husband and children also felt the stress. I knew this, because they flinched whenever they would ask me where something was because they knew what was coming: I’d yell that I just didn’t know. All I knew is whatever they were looking for was somewhere in the mess. And I needed to get around to cleaning it someday. But I had no idea how or when I’d get around to it. When I listened to the Homemaking Ministries Conference, so many of the speakers talked about routines. Incessantly. 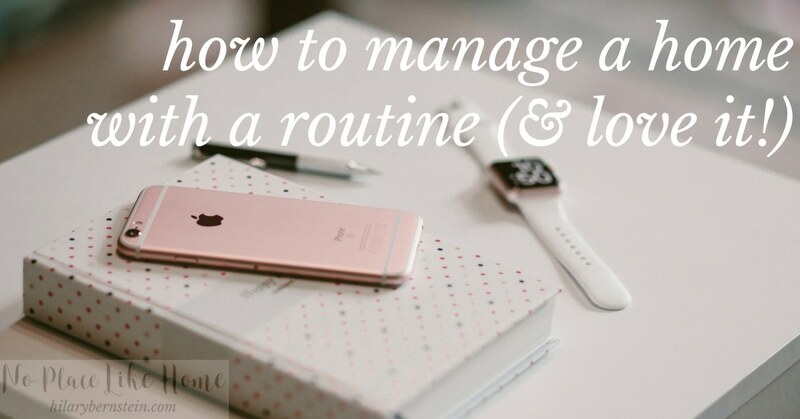 I thought routines were more of a punishment; like you couldn’t manage your home or family on your own, without a restrictive guide. But as the weight of my messy home and unpredictable days got heavier and heavier, I knew I needed a change. I knew I needed a routine. Just like a skeleton provides a much-needed framework for a body, routines provide a much-needed framework for a day. As I began creating my own basic routines, I discovered what a game changer they were. By simply adding a little structure to my days, I found I could accomplish so much more. Life was less hectic. My home became more like a haven. My children and I knew what to expect, and we naturally fell into a rhythm of daily life. If you prefer some spontaneity, start with a very loose routine. Simply decide what you need to accomplish in each day and figure out when you’ll do it. When you simply repeat the same routine each day, you’ll notice more benefits because your routine will become a habit. Much likethe way morning routines or bedtime routines become second-nature, your days will flow better as you know what’s coming next. If you’re not very spontaneous, though, and prefer structure, plan the details in your day. Get in to the nitty gritty. March to the beat of your own regimented drum and schedule your day away. Think about your days. Where do you spend each day? When do you come and go from your home? What responsibilities and commitments are already built in to your calendar? Be realistic with the actual time you can devote to working around your home. Write it down. Write down a basic framework of your day, detailing when you come and go. Also pencil in when you think you’d like to focus on housekeeping. You may not always follow this written plan, but it helps to see it all. A written plan also will help you see if you’re trying to schedule too much or not enough. Think about your daily chores. What three to four things would you like to accomplish each and every day? Consider these your Daily Non-Negotiable Chores. (Only stick to three or four! Any more and you’re setting yourself up for failure.) Figure out a time to do them every.single.day. Think about your weekly chores. 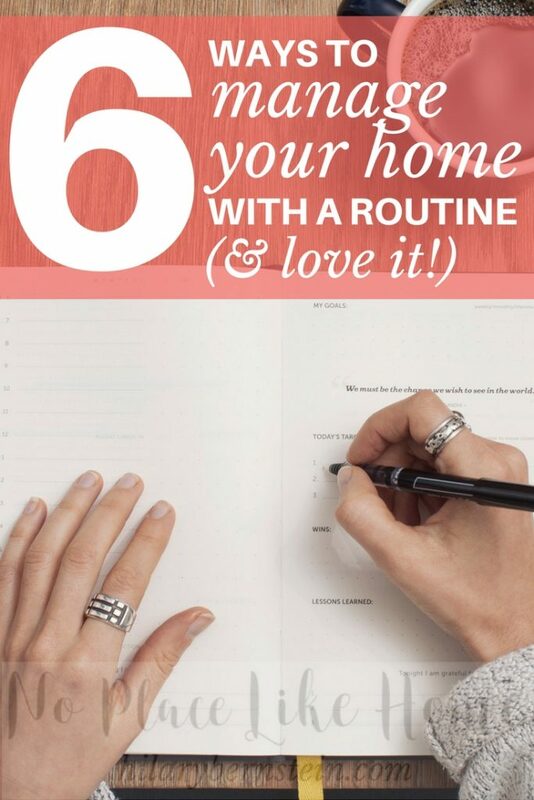 Once you’ve thought about your daily chores, figure out what you’d like to accomplish in your home each week. Then plan on a time to do this housework. Try your routines. The best way to see if your planned routine works is to try it out. You’ll quickly find out what works well – and what bombs. Change your plans to make your routines work for you. Now that you know what works and what doesn’t work, tweak your plans – and keep tweaking them! – until you discover a great rhythm that helps bring peace and order to your life. Once I began to use those six steps to creating routines, I found that I still had plenty of flexibility. My entire day wasn’t scheduled away. But I made time to keep up with my home and care for my family. As I embraced routine, I was able to check off my ambitious to-do list … because I made time for it. Over time, I was able to organize and purge my home. Now, whenever my husband or my kids ask where something is, I know exactly where. Without daily routines freeing up my time and attention, I know I’d still be living in chaos. But with homemaking routines, I’m able to work hard each day, accomplish what needs to be accomplished, and go to bed satisfied with my day. 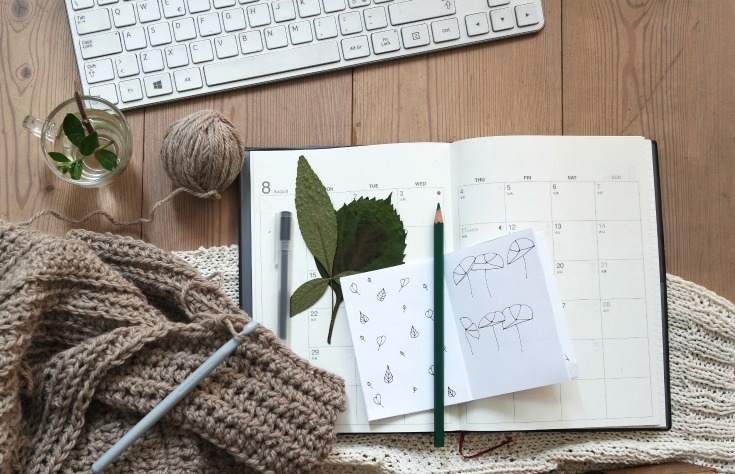 As you begin to use a homemaking routine each day, it should be easy to notice a difference not only in the way you run your household, but also in the calm and peace that should start to be part of your approach to life. And that calm and peace is worth more than all spontaneity can offer. 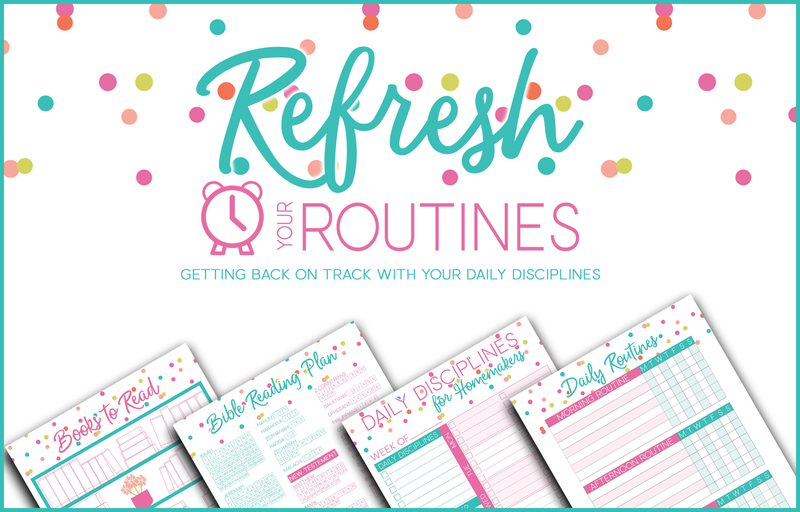 To help you get serious about creating routines – or to simply refresh routines you may already have – I’d love to share with you the FREE Refresh Your Routines eKit. You can get back on track (or simply on track!) with daily disciplines through these short videos and helpful printables. You can get your free Refresh Your Routines eKit by clicking here. If you already have a daily homemaking routine, what does it look like? « What If a Clean Home Doesn’t Matter?